Finally, a fundraising company doing business the way it was meant to be... with its heart in the right place, and an eye towards your success. Steve LeClair, Co-Founder of Beary Thoughtful®, conceived of the idea as a way for schools, groups and other organizations to raise funds to support their activities. The promise of excellence is the underlining concept in all we do at Beary Thoughtful®. We believe in tradition and it is that tradition that drives us to achieve and exceed our own expectations to better serve you. Our company is founded upon values such as integrity, honesty, and a keen sense of community that have made the American family and American business great. Beary Thoughtful is committed to helping you and your organization in achieving your fundraising goals. Our staff is loyal and caring. 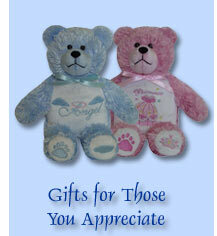 It is important for all the employees at Beary Thoughtful® to make our customers feel that they are part of our family. Free Materials- Catalog and Order Form for Every Participant!